Amazing Bubble Show with the Bubble Lady! This fabulous show really pops! It’s crazy, zany, super silly and tons of fun. Parents and children alike will be wowed as we follow “The Bubble Lady” to “Bubbleland” and participate in incredable musically enhanced bubble adventures. Children are helpers throughout this astounding interactive show! Spectacular bubble artistry mixed with comedy, is a winning combination making this “Bubble Show” one you won’t soon ( if ever) forget. Prepare to experience bubbles like you’ve never seen. Everything from dancing bubbles, trick bubbles, spaceship bubbles, love bubbles, bubble haircuts, bubble brains, dragon and whale bubbles, universe bubbles and people in bubbles, to name a few. RSVP for Purim in the Bay! I would like to Volunteer for Purim in the Bay. Please contact me. 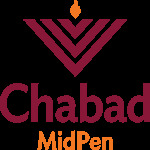 Yes, I would like to hear about more fun activities like this from Chabad MidPen!